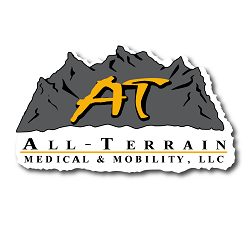 All-Terrain Medical & Mobility carries a wide variety of wheelchairs. We have you covered, no matter if you are looking for: Manual Wheelchairs, Electric Wheelchairs or Power Wheelchairs, Sports Wheelchairs, Folding Wheelchairs or Everyday Wheelchairs. If you do not find what you are looking for, please let us know and we will find it. Please call us at 877-255 8371. We are here to help!